Have you always wanted a swimming pool, but can’t find the space to fit it anywhere? Get in touch with KB Pools and we can solve your problem with our moveable swimming pool floors. 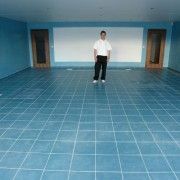 The movable floors of our swimming pools will completely transform your room or empty space. Using the latest innovative designs in the industry, at KB Pool our swimming pools are constructed to your preferences. What are swimming pool movable floors? Adjustable to your preferences, our movable swimming pool floors are renowned for its accessibility. No matter whether you are an experienced swimmer or just a beginner, you can adjust the different levels of your swimming pool to your individual experience. This is great when you want to change between a paddle and a deep swim, or if you want to create that extra floor space. Our movable swimming pool floors provide a complete versatility to your current floor space and will maximise the utility of your swimming pool. One of the major attractions of installing a movable floor to your swimming pool design is the feature of having two rooms in one. No more will you have to decide if your basement will be a dance floor or swimming pool, with our movable floors you will have both. With our innovative designs you will create a multi-functional room for you and all the family to enjoy. With a movable swimming pool floor you will be able to transform the swimming pool to whatever function room your desire, whether you want it become a gym or dance floor. One of the main concerns of our clients is the safety precautions of our swimming pools. If you have a family or are entertaining guests you want to ensure that you are providing a safe swimming environment. With our movable floors your swimming pools will comply with the safety regulations expected by the top organisations in the industry. Click onto our gallery to discover the benefits of movable swimming pool floors in the home. 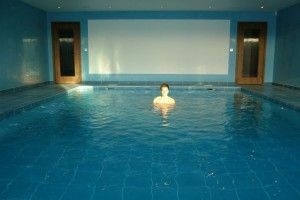 Explore the designs of our movable swimming pool floors and visit our showrooms in Wallisdown, Bournemouth. Install an innovative swimming pool solution to your unused space today. Call us on 01202 518067 or email, if preferred, to sales@kbpools.co.uk. Would you like a swimming pool and an entertainments’ hall in one? With KB Polls movable floor swimming pools, you will be provided with a professional swimming pool that will transform your property. With over 25 years experience in installing swimming pools for a range of residential and commercial properties, we know the latest technologic developments in swimming pool functions. Our movable floor swimming pools are the latest innovations in the swimming pool industry that you can get your hands on. To read more about our movable pool floors continue on through here. Add value to your property when you install our swimming pool movable floor. You will no longer need two separate rooms for your swimming pool and deck floor. With adjustable pool depths, you can adapt your swimming pool into a basement hall or terrace. Do you want to host a pool party? We guarantee that with our swimming pool movable floors, all of your guests will be safe. The variable depths of the pool can be adjusted to all situations creating a child-friendly atmosphere. A secure swimming environment and your safety are at the heart of our swimming pool fittings. Transform your property and install our movable swimming pool floors. 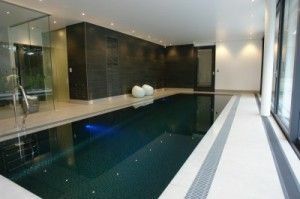 Pool basements can convert into gyms and outside swimming pools into spacious terraces; great for entertaining guests. Your entire swimming pool can be adjusted to your needs and requirements. Makes use of any limited space and transform your room into a multi-functional vicinity. When we install your movable swimming pool, we ensure a same floor finish. If you’re not using your swimming pool, our pool surface should blend with the floor designs of the room for a seamless fit. Are you fed up of protecting your pool in the middle of winter? Interchange your outdoor swimming pool into a sleek decking with our movable swimming pool floor. If you’re looking for a swimming pool with low maintenance, then our movable floors will be less hassle to you when your pool is not in use. Discover the variable, adjustable swimming pool depths in our Gallery. 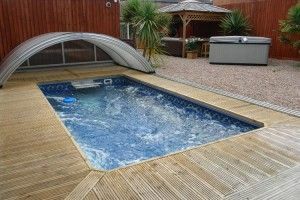 Having over 25 years experience, our tradesmen are qualified building engineers that will carefully install each movable floor swimming pool to a quality finish. Registered with top organisations like CORGI and is insured by SPATA (The Swimming Pool and Allied Trade Association) you can expect a high standard of service from our team at KB Pools. You can feel safe in the knowledge that we will undertake secure installations and flexible designs that will suit your individual property. 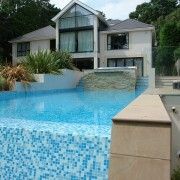 Regular maintenance, checks and treatments we can ensure that your pool is in excellent condition throughout the year. Your contractor will make sure you swimming pools are exacted to the industry standards expected. Explore our range of movable floor swimming pools and get in touch today. Call us on 01202 518067 or send us an email to sales@kbpools.co.uk. At KB Pools, we offer property owners the unique opportunity to have above ground and more wooden pools installed into their property today. A wooden pool from KB Pools is a work of art that will not have any protruding joints and will give your property a rich air of character. 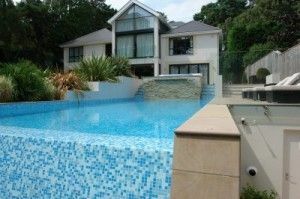 We have manufactured and installed a wide range of pools for many property owners and their properties. For a service like no other, choose KB Pools today. KB Pools can provide your property with a wide range of wooden pools to suit the needs of every property. Unlike our competitors, all wooden pools provided by KB Pools are fitted with our unique patented system of dovetail joints; this gives our wooden pools a sleek and smooth look. Every joint is reinforced by a stainless steel threaded bar that enables you to tighten the frame easily and take the frame apart easily. All pools are custom fitted to meet your needs and will provide your property with years of valuable service. By choosing KB Pools, you will be dealing with a company that can design and install a wooden pool to suit all of your wooden pool needs. Our team of experts can excavate the designated area and install your new wooden pool. All wooden pools provide by KB Pools are very safe and are child-friendly. Our wooden pools are fully customisable to suit your property and tastes. We provide pool borders in a variety of finishes such as tropical hardwood, pinewood, treated red fir and more. We also provide Lateral supports and extra thick pool borders. What will be provided with your wooden pool? If you are interested in having a wooden pool, contact KB Pools today on 01202 518067. Are you looking for a superb new swimming pool? If so, call KB Pools today for a wonderful swimming pool design service tailored to your requirements. With 20 years of experience in the industry, KB Pools is the company to choose. When it comes to designing swimming pools that ooze class, our company knows a thing or two. A swimming pool designed to meet your property needs will be the ultimate statement in luxury. You also have to consider the health benefits which simply cannot be understated. At KB Pools, we provide the finest designs for swimming pools to help you live a healthier lifestyle in the privacy of your home. What can KB Pools provide for you? 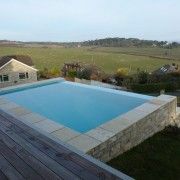 When you hire our professional company, we can create a bespoke swimming pool design that will allow you to enjoy the benefits of swimming all-year-around. 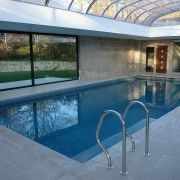 Whatever the size of your property, we can tailor all aspects of your indoor pool including width and length requirements. When you are looking for great designs for swimming pools, an outdoor pool is a great investment for any property, and our team will design a pool to your exact requirements. This is a cost-effective investment as you will not have to deal with the costs of heating your pool which can be extensive. With a built-in propulsion unit capable of creating 5,000 gallons of water per minute, the endless pool is in a whole league of its own. The endless pool has adjustable settings that can be set to meet the exercise requirements of every customer. So if you fancy a gentle swim or something more taxing, this pool is a great option. At KB Pools, we can create completely new endless swimming pool designs as well as retrofit existing pools. The one sizeable drawback with any pool is the space it will inevitably take up. There is, however, a better way. At KB Pools, our expert staff can create superb movable floor designs for swimming pools that will revolutionise how you use your living space. These can be built into new pools as well as existing ones and can be adjusted to make the pool shallower or conceal it entirely. In addition to the above, KB Pools can also add the finishing touches to your swimming pool designs with a superb range of chemicals, safety covers, and telescopic enclosures. For the best swimming pool design, KB Pools is the company to choose. For more information contact us today on 01202 518 067.